A sunny way to start off the day... I hope you all have a wonderful Tuesday ahead! p.s. this image is from a DIY canopy bed on Country Living.. 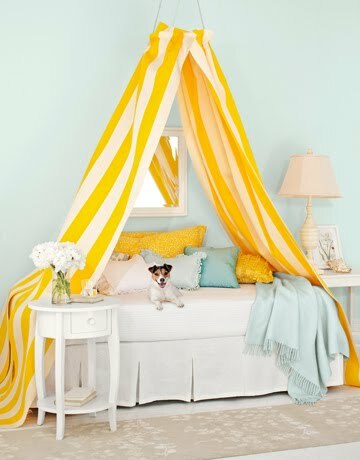 This yellow canopy = perfection! give me some yellow and you have made my day!